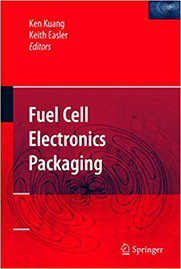 We will discuss how solid oxide fuel cells (SOFCs) involve structures are composed of multiple ceramic layers, or interleaved layers of ceramic membranes and metal interconnects. To eliminate premature mixing of fuel and air gases or leaking of these gases from interior regions of the structure, the interfaces of adjacent layers are sealed with a glass or ceramic seal. These seals must withstand the high-temperature environment of the SOFC over its lifetime. Therefore these materials must be thermally matched with the adjacent layers to minimize transient stress risers and eliminate the potential for consequent seal failure. In situ stress sensing methods relating real time results would permit operational performance stresses to be correlated to input variables thereby permitting the creation of a safe operational zone. Direct feedback to a closed-loop control system can then constrain the device within the safe zone. An in situ seal integrity sensing design and methodology has been demonstrated by ENrG Inc. and JHUAPL.